Slavers, they were the worst of the worst of the worst. Taking others and forcing them into slavery. Usual these fools were lonely people, hiding on the fringes and taking their prey elsewhere. But somewhere, somehow, one of them had a wonderful idea. Create a fleet of slaver ships that could take far more slaves than ever before, and that could protect each other far better than before. However, that protection brought in arrogance. Soon, these slavers believed they could take on the galaxy together. And where better to start than the most anti-slaver faction in the galaxy, the Mandalorians. Some other genius had the idea to start looking for slaves within the ME sphere of influence. They had set up a base on a remote moon, out away from most ME patrols. Thankfully though, they hadn’t accounted for the random patrol or two. A patrol had found their little base, completely by accident, but very much accepted. This patrol had returned to Mandalore, and informed the first Alor they could of this base. That Alor was Adenn Kyramud, and he had stilled upon learning of this base. He was informed that the base had only recently been created, and no slaves had been taken, yet. That was a good fact for Adenn, it meant that he and his vod could go all out against the slavers, butchering them for their foolishness. Adenn informed others of this base, of this slaver menace that dared to think of attack Mandalorians. It happened rather quickly, but soon enough a response had been formed between many clans. Adenn was at the head of this group, for now at least. If the Mand’alor decided to join, he’d let her take charge. Or if their best Admiral joined, then he’d get command. But for now, Adenn was in command. This fleet, meant to eradicate the slavers, was gathered above Mandalore. It would soon depart, but for now. They would wait, and see if anyone else decided to join their little murder party. That thought made Adenn smile, the more the merrier, and the merrier it was, the more blood was shed. On the slavers side. Thus, standing on the bridge of the Aegis Eternum, Adenn smiled out into the void, watching, waiting, patiently for the time to attack. Waiting for when they’d all be there, ready to unleash hell upon the slaver scum. Intent: Explain the warriors that are the Beskad Warriors. Role: Elite warriors meant to distract the enemy, and soak up damage so that weaker infantry can move unimpeded. Description: Wearing Void Armor, the Beskad Warriors tower over most regular people. The majority of these warriors have undergone augmentation, increasing their height, width size, strength, and power. All Beskad Warriors wear Void Armor with spikes on the legs and some on the arms. They have hazard stripes on them in a mock parody of warning to their enemies. All of these warriors also proudly wear the Clan Mortui symbol on their armor, to show who it is that’s beating the enemy. The general mindset of these warriors is simply- overwhelming the enemy with superior firepower, tactics, and armor. They will gladly stand in the way of enemy fire so that their weaker contemporaries won’t be hurt. Then they shrug off whatever damage they have received, and often charge the enemy. COMBAT INFORMATION: The combination of Unit Size and Availability below is the indicator of how numerous your unit is. Stormtroopers for instance would be considered Large/Common, while Rogue Squadron would be a Small/Unique unit. Majority Force User Units are prohibited from being Common or Large. The stronger and more specialized your unit is (FU or NFU), the smaller and less common it should be. Combat Function: Heavy support for regular infantry. Void Armor- Thanks to their armor, these warriors are tanky. Combinations- Together the Beskad Warriors can accomplish many things previously un-accomplishable. They work well together, not as cohesively as they could, but far above the level of regular troops. Self-Preservation- The Beskad Warriors usually don’t care about their own lives, often throwing themselves against unbeatable odds to win. Crazy- Many outside of their number would consider them crazy, and they’re not far from the truth. While most of these warriors are smart, they choose to show a more brutish side. So that they can surprise the enemy. Outside of that though, it’s a detriment to allies who often see them as nothing more than brutes. While still being a relatively new unit, the Beskad Warriors are all soldiers who have survived countless campaigns. These warriors have little to no regard to their own safety, instead devoting most of themselves to protecting their brothers in arms. They also enjoy smashing aside heavy fortifications of the enemy, preferring to break the enemy themselves. These formidable warriors were created after the creation of Void Armor. Answering to the Beskad Elite and Adenn Kyramud, they care little for outside orders. The only other one who could give them orders would be the Mand’alor, and the Mand’alors orders would have to be approved by Adenn Kyramud. Their battle cry is "Bic b a jate tuur ash'ad kyr'amur. : It's a good day for someone else to die." Intent: Explain the elite of Clan Mortui, and the Beskad Warriors. Role: Protection detail for the Alor of Clan Mortui (Adenn Kyramud), and soak up damage for weaker troops. The notable difference between the Beskad Warriors and the Beskad Elite are the Jaig Eyes. All 20 of the Beskad Elite have this symbol proudly emblazoned on their helmets. Unit Size: Small; only 20 individuals make up this extremely elite unit. Combat Function: Guard Adenn Kyramud and/or lead the Beskad Warriors. They are the heavy support that the regular troops rely on to deal with heavy enemy presence. Armor Know-how- These Beskad Elite truly know their armor, inside and out. They have trained daily with it since they received it, and can beat anyone else with the same armor. Skilled- Each Beskad Elite has practically thousands, minimum, or campaigns under their belt. They have worked together, and know each other whole heartedly. Cohesion- Because they have worked together so much, and so well, they work extremely well together. If others see them in combat, it’s almost as if they read each other’s minds. Arrogant- These warriors are truly the best of the best, and they know it. They will almost never give up the chance to prove this to others and outsiders. Often found bragging about their accomplishments, or pushing around those lesser than themselves. Slow- Because they use Void Armor, they are subsequently slow in their movements. Even if they have razorsharp response times. With their power armor only conceived quite recently, the Beskad Elite were born. There are only 20 of them, all together. No more, no less. Should they lose one, they lose a valued member who they’ve fought with for dozens of battles. Before they became the Beskad Elite, they were a close-knit black ops unit that specialized in many, many things. When the Void Armor was developed, they were picked to test it out. When the pirates came, these 20 Mandos single handedly beat back their tides, saving the entire facility. Before this battle, they had fought together countless times, and after that battle, they swore once more to fight together forever more. Which they did, that final battle earned them their Jaig Eyes. After that, they swore to work closely together, forever more. That role has also expanded to their newest role. Seeing as they are the best of the best, they have also become guards to Alor Kyramud. Usually there are at least 5 with him, but if all 20 can be deployed, then they would much rather go like that. Other duties of theirs include leading the Beskad Warriors into battle. The Beskad Elite are the officers of the Beskad Warriors. These Elite warriors answer to Adenn Kyramud, and Adenn Kyramud alone. They won’t even consider obeying an order from anyone else, aside from his second in command, Gunner. Not even the Mand’alor could order them around. They are fiercely loyal to Adenn, and will snort with derision should anyone try to order them around. Often officers who believe themselves better, or above the Beskad Elite are found dead. Usually after they try to order them around. 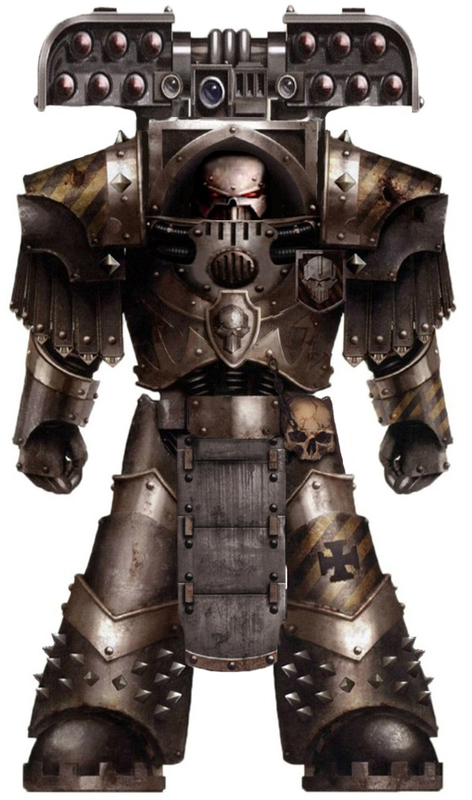 Intent: Create power armor for Clan Mortui, and some ME and FE use. Attachable Items- A missile launcher and jetpack can be attached to the back, separate and combined. Adds additional firepower to the power armor, but increases weight. Body Suit- This suit regulates temperature. Also has an added bonus of putting pressure on any wounds that may be acquired. The added bonus helps keep the person alive, and in the fight. Height- There is a minimum height to use this armor, that being 6’5”, though taller is often seen as better. However, the armor adds height onto that minimum height. Altogether, while in this power armor, the wearer is anywhere from 8 to 10 feet tall(2.4 to 3 meters). Augments- Wearers of this armor can receive special augments that increase height and strength. Speakers- The Void Armor has special, large speakers, made for them. With these, the warriors wearing the armor can blast their words across the battlefield, or play music for their brothers in arms. Tank- This suit of power armor is meant to soak up damage, and does so well. It is a veritable walking tank. Body Suit- The body suit regulates temperature and applies pressure to any wounds that may be aquired in battle. Composition- The power armor is so composed that it is extremely hard to penetrate. Only the most advanced, or heavy hitting weapons are guaranteed to penetrate, the rest, only if they're lucky. At first this armor was merely a concept design. The suit was nothing more than a what-if design. It was thought out for, and designed for boarding parties. Made so to soak up damage so that weaker units would not have to. However, due to the high cost of making the armor, and its complete conceptual design, only a handful of the power armor was made at first. The armor was then sent to a remote asteroid base near Tracyn for testing and further development. Fortunately, or unfortunately, depending on who you ask, this power armor was given some hands-on testing. That hands-on testing was in the form of pirates who had managed to find the asteroid base. However, what they perceived for somewhat easy pickings, turned out to be a literal warzone of armor for them. It was here that the power armor proved itself in the eyes of many skeptics. There were only 2 squads of Mandalorians (10 per squad) with this power armor on the base at the time, while there were hundreds of pirates attacking. All in all, the Mandalorians fought valiantly, but they would’ve been overwhelmed had it not been for the use of the power armor. In this battle, not a single suit was lost, nor were any of the wearers injured. Wherever a soldier in the power armor appeared, the tides of battle changed, in favor of the Mandalorians. The Void Armor excels at ship boardings, urban combat, and close quarters combat, though not in the traditional sense. This power armor can be used to basically fill up an entire hallway with giants in beskar. Said armor can also be outfitted with the boarding shields of Clan Mortui, creating a most formidable warrior designed to smash through any defense that the enemy has. Next is urban combat, and the Void Armor does well in such terrain. Because of its size, the armor stands out from the rest of the regular troops, also causing them to become targets. That’s the catch though for the enemy. These suits of power armor are designed to soak up damage so that weaker units don’t have too. Finally, is close quarters combat. While the suit of power armor is big and bulky, it’s strong. With such a suit of power armor, one can destroy many, many things. Among those things being humanoids, parts buildings, light vehicles (with the proper equipment of course), and ship walls if it comes down to it. However, all that strength comes at a big cost, speed. While the Void Armor is very strong, and great at tanking damage, it’s slow. One cannot move faster than a jog in this armor, and one is even slower should one have any additional add ons attached. Such as the shoulder mounted rocket launchers or the jetpack. Mandalorian clans were always looking for new members, whether from fellow vod or from those who would seek to join the Mando’a. However, there are always exception to a rule, and Clan Mortui was an exception to this rule. Having been secluded for so long, they had not had new blood come into their ranks for some time. Frankly, they didn’t quite expect anyone to want to join them either. Thus, Mortui kept to themselves, even when they came back into the galaxy with a vengeance. Thus, it came as a surprise to Adenn when he received a message. It asked for a meeting with him, what about, the message did not entail. Merely hinting at a new member who may wish to join Mortui. This intrigued Adenn to no end, so he invited the person to the Oyubaat on Mandalore. It was where many meetings were held, and thus would prove useful as another meeting place. Within the bar itself, Adenn sat secluded in a corner booth. He sat facing the door, waiting. There was music playing, and games being shown on screens. Rowdy Mandalorians, and subdued Mandalorians were all around. Adenn himself, he sat there quietly, with a bottle and glass of tihaar in front of himself. His face obscured in the shadows, and his buy’ce sat in front of him, the T-visor pointed at the crowd. He sat watching, waiting for when this person would come, curious as to what they wanted, but not showing it.